Heba Kadry got her start in the pro audio world at Houston's SugarHill Recording Studios, where she served as the studio manager and recording engineer. In 2007, she moved to New York to focus on mastering—and she has since mastered the releases of some of the most accomplished artists in indie rock and pop, including The Mars Volta, Slowdive, Lightning Bolt, and Beach House—as well as mixing Björk's Utopia. In 2013, she became the chief mastering engineer and business partner at Brooklyn's Timeless Mastering studio. Because it's the last (and often least understood) stage of preparing a recording for release, mastering can be neglected, or thought of more as a necessary, utilitarian process rather than a creative act. But it's not just about putting one last limiter on a final mix or trying to push the volume a few extra dBs. 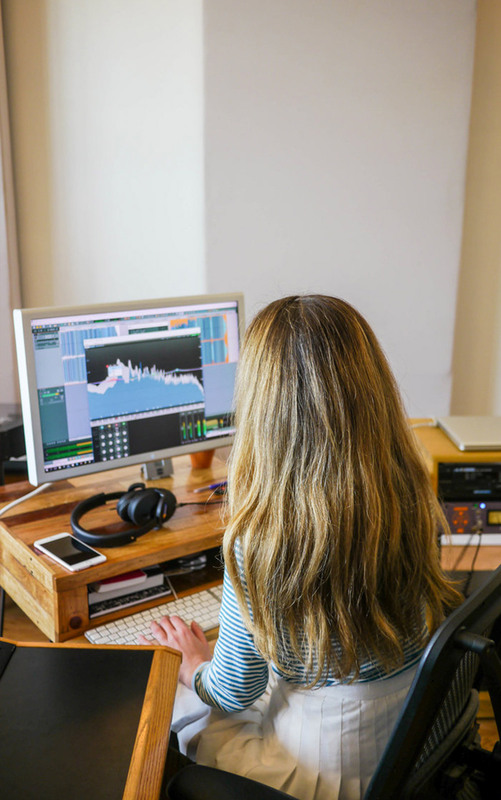 The decisions a mastering engineer makes can have a huge impact on the sound and artistic vision of your project—if given the time and direction to do so. 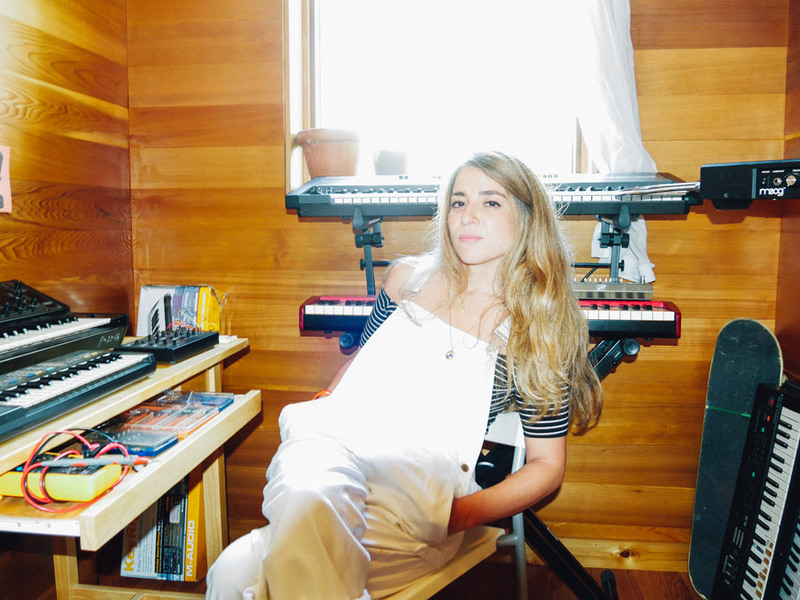 As she explains below, Kadry employs a range of techniques, outboard gear, and music software in order to elevate the mixes she receives—sometimes re-working stems or making other tweaks to the mix, and at other times diving deep into sound design. For more information on Kadry, Timeless Mastering, and her work, visit the studio's website here. You've said before that mastering requires you to be a bit of a chameleon. What are the skills you find yourself using most often as mastering engineer? I'm not sure if this qualifies as a skill per se, but I would say I use my intuition and gut instinct first and foremost. Mastering an album can go so many ways. It's up to you to find a unifying quality that ties an album together in a way that puts each song in the best light, and more importantly, still 100 percent in line with the artist's vision. There are days when I'm mastering an album and making extremely creative choices—whether it's changing balances, bringing specific elements to the forefront, or even doing some sub mixing/mastering to steer the song in a specific direction. And there are days when my mastering touch is very light/transparent because the mix is so perfect it doesn't need to be fussed with. It really all depends on three factors: the record's vision, the mix potential, and your relationship with the artist/producer/sonic decision-maker. There's absolutely no room for ego—your role is to materialize all those visions in a master that reflects everything the artist wanted and worked so hard for. If you can achieve that, that is a good day's work. Can you give us some examples of how mastering engineers can work with producers or artists on creative decisions? So for example on Neon Indian's VEGA INTL. Night School, I had the idea of using 1/2" tape and letting the artist, Alan Palomo, basically ride the varipitch to slow down and mess with the speed and pitch of certain portions of the songs that were eventually used as interstitials throughout the record. I think it's most obvious at the beginning of the album when you hear everything slowly ramp up. He was a great tape op… I just showed him how to work the transport tension and the varispeed and he just ran with it. We also interchanged the usage of 1/2" tape as the source versus digital mix source on a few songs and even within the same track. The songs "Slumlord" and "Slumlord's Re-lease" (essentially one track but with two movements) were mixed by two different engineers, Alex Epton and Ben H. Allen. The first movement was dumped to tape and saturated pretty aggressively before it hit the console to create a tonal difference between the two movements. The second movement was mastered from the digital source straight into the mastering console and then edited together. It really gave us the effect we were going for—kind of throwback '70s disco for the first half and a more modern dance track on the second half. I'm really glad Alan was so down to try anything. He's a synth encyclopedia. He's one of those guys that is a totally academic synth wizard but can actually make his work sound totally musical and accessible. Neon Indian - "Slumlord's Re-Lease"
Do you have a basic, go-to process before adding more experimental ideas on top? Or do you approach each project differently? Each album is different because the people are different. Sometimes an album can even throw a curveball at you halfway through that makes you revisit everything you've done and possibly redo it all over. One-size-fits-all approach just never works. Sometimes you can sort of anticipate how the session will generally go depending on whether you have a pre-existing work relationship with the producer or mix engineer—if we have worked [together] often enough that I generally know what they want and what they strive for. It's a good synergy and mutual trust where we look out for each other and have each other's backs to create the best possible work. That's the absolute best relationship between a mastering engineer and a mixer. What are some techniques you like to use to make the mastering process more creative? "Each album is different because the people are different. Sometimes an album can even throw a curveball at you halfway through that makes you revisit everything you've done and possibly redo it all over. One-size-fits-all approach just never works." Could be anything from utilizing tape, doing a little bit of sub-mixing or stem work, to adding effects to extend reverb tails at the end of songs and, more than anything, using micro-sculpting techniques with EQ automation in Sequoia, my DAW of choice. What's the wildest, most drastic thing you've ever done to an artist's track? The wildest thing I've done by far is mixing Björk's latest album Utopia. I was initially hired to sub mix the album with stems, which is something I do often—that sort of grey area between mixing and mastering. That slowly broke down into multitracks and then eventually full-flung mixing work for six months. I assembled a remote rig before flying to Iceland to work on it with her and Arca in the beautiful countryside and then came back to my studio and broke everything out on my board. One of the most fun things we experimented with was using an old '70s white noise generator/sleep machine that was gifted to me by Jeff Blenkinsopp. I was Jeff's student back when he taught synth tech/electronic repair at the Analog Lab when he was still based in NYC. Love that guy. Anyway, Björk had all her vocals lines written in MIDI and she was looking for a creative and particular way to manipulate her vocal effects that were super airy and light. Vulnicura (the album prior to Utopia) was pretty dark, both sonically and content wise, so she wanted Utopia to reflect a new change—letting go of the past, healing wounds and moving on in a positive way—a new future, a utopia of intricate sounds, birds, and lush forests. So, it was really important to translate that sonically, all the way down to the reverb choices. Everything had to be light and uplifting. I think we tried every single reverb on the market! She's a master at describing exactly what she wants in both vivid and musical terms and it was my job to translate that in a way that works for the song. I suggested trying the sleep machine and she was totally down. We had one session at my Brooklyn studio and recorded the white noise generator triggered via vocal midi notes. That was really fun. The beats in the track "Losss" maybe took the most amount of time to perfect. It's a super distorted hard-hitting massive sounding beat initially written by electronic artist Rabit. Björk took Rabit's beat into her Pro Tools rig and had it completely time-stretched, saturated, reworked, and manipulated in such a cool way, which became the building blocks that she used to write the whole song around. It's one of the longest songs on the record, with several movements. It was amazing but the only problem was the beat was a stereo file. It wasn't possible to get the beat elements broken down because of all the processing she had done so I had to get really creative, given the limitation. Almost every single transient was gridded out and automated with EQ and a bunch of other effects using Sequoia's very clever object editor function—tiny slivers of edits across the whole beat with a chain of plugins that are saved as snapshots and quickly inserted as I went along. So, the kicks had their own snapshot chain, the snares had they own chain, and so on. I use this technique very often in mastering to sculpt problem areas within specific sections of a song, but using it on the beat is when it really really came in handy. I then ran the edited beat through an analog chain to saturate it further and glue it all together, then back into Sequoia. Working with Björk in a mixing capacity was a dream come true. She's just ahead of everyone, a true production and songwriting pioneer and a very generous and giving person. Working in close proximity with her is a career and life highlight! 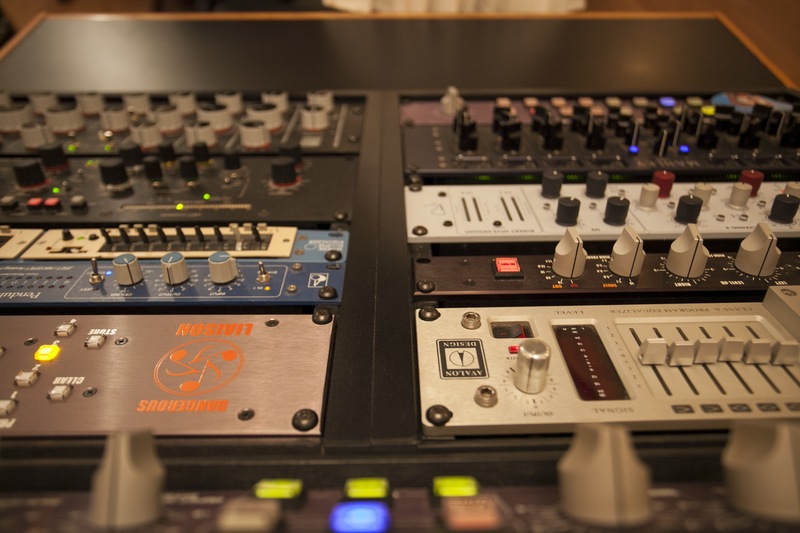 What are some of your favorite EQs you're currently using? What about compressors? In-the-box I don't really use that many. I'm not necessarily an analog purist—I think digital right now is at its very best (and will continue to get better), but I personally feel I get way more out of using an analog console, in conjunction with some pre-ITB sculpting before it hits my D/A. My favourite EQ is DMG Audio's EQuilibrium—I use that EQ so much, despite it being such a CPU hog [laughs]. I also love their compressor, Compassion, and their de-esser, Essence. Such an excellent company. Another compressor I like is MJUC by Klanghelm. Analog: my favourite EQ is the Sontec 432 C/9. Designed by George Massenburg and Burgess MacNeal, who both invented the first parametric EQ back when the company was named ITI in the early '70s. After they split, Burgess bought the company, eventually becoming Sontec, while Massenburg became a renowned engineer and designer with a company of his own. Dialing-in a Sontec is pure magic—the high-end extension is absolutely endless. This EQ single-handedly changed the mastering world. I recommend reading up about it—it's absolutely fascinating. I believe Massenburg was like 15/16 when he first started there, so young. Analog compressors, I have a variety, but I would say my faves are my AMS/Neve 33609/C and the GML 2030. What's the quirkiest piece of gear you've ever used on a master? I have a TC Electronic M5000 processor. An old unit from the '90s that had the first digital multi-band compressor. I don't really use it very much but I pull it out sometimes when I'm going for a '90s sort of trashy, metallic, shoegaze wall of sound. You use a lot of analog gear as opposed to plugins—how important is analog gear to what you do? And does having the outboard gear at hand help you to be more creative? It's very important. I love the tactile function. Looking at a screen all day can bias and overwhelm your brain sometimes. You can really focus on your ears and your senses are much sharper. But like I said, I'm not a purist about it, I just find that I get a better-sounding master with a predominantly analog chain. The plugins out there sound absolutely fantastic and I'm certain they will keep getting better. How do you balance being experimental and creative with being efficient? That's a good question. I think if it's time to experiment and be creative, efficiency sort of goes down the priority list a bit. Getting a track or a song to sound right or as good as it can possibly be is more important than anything to me. But, we live in the real world, where deadlines exist and the pressing process has a turnaround time that needs to be worked around. Of course the mastering engineer always gets squeezed the most because of mixing schedules going overtime. It's all about balance and finding the right time to ask for more time to work on something or possibly getting it corrected in the mix. If not, then you just have to do your very best and make it work. That's your job. You must see things through and meet deadlines—otherwise, no one will find you reliable. I always tell artists their albums are like a snapshot in time. How they felt about certain things, a document of heartbreak, their view of the world, what they were passionate about, etc.—all captured in one body of work. You do not want to look back 10 years from now and say I wish I did things differently or I wish I had spoken up about this one thing that was bothering me. It has to last for the long haul. So, buying a little bit more time to fix a problem is something I will negotiate as much as I can (within reason). "I think every year I figure out something new or potentially buy a new piece of gear that makes me rethink my strategy. Techniques that are tried and true but work great need to remain in your arsenal, but it is pretty important to evolve, and that comes with time and experience." How do you do keep from using the same techniques over and over—or push yourself to try new things? I think every year I figure out something new or potentially buy a new piece of gear that makes me rethink my strategy. Techniques that are tried and true but work great need to remain in your arsenal, but it is pretty important to evolve, and that comes with time and experience. It's cool when you surprise yourself or when you learn something new from someone else. What formats are you most often mastering for? If you're preparing a project that will be released on digital streaming services and on vinyl, how do you approach that? Is it two distinct processes? Definitely both. And yes, in a lot of cases I may do a different analog pass for vinyl if the regular digital streaming master is pretty loud and compressed. Super clipped transients and really bright masters generally don't translate well to lacquer. They end up sounding really dull. If you send a master at full-scale to a cutting engineer, they will bump the master down -10dB before it hits their amps. Backing off limiting and compression and providing a master with more headroom will improve the cut significantly. Better signal-to-noise ratio and healthier transients may actually lead to a potentially perceptively louder and cleaner cut with less inner diameter groove distortion. This really depends on the material of course. Does one format allow you to be more creative than the other? They're just different. Apples and oranges. You want to make sure the digital streaming masters translate well to vinyl, which is an entirely different beast with so many limitations and is followed by an extensive plating and pressing process. The vinyl pressing will never ever sound exactly the same as digital. However, it's up to the talent of the cutting engineer to get really creative and make it translate as close as possible… and in a lot of cases you will be pleasantly surprised with the results. This is why it's very important to credit the cutting engineer. So much skill and craft goes into cutting—I don't think people realise this. What are your thoughts on automated mastering services? What are artists losing when they opt to use such services instead of hiring a mastering engineer? I'm not a fan, obviously—but I understand why people opt for this sort of service. Cheap and fast… and just like anything cheap and fast, you get what you pay for. Maybe the algorithm will get better one day but for now they cannot master full albums as one cohesive body. It also cannot detect polarity problems. You just cannot replace the human ear, human relationships, human experiences, and the range of emotions music brings out in us with an algorithm.